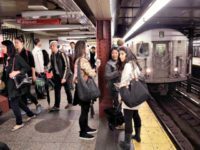 A New York City subway rider made a fellow passenger’s Christmas a little bit merrier after he found a purse stuffed with $10,000 and returned it. 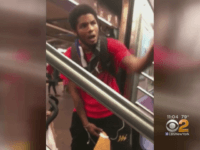 A Brooklyn man was caught on camera riding the outside of a New York City subway car bound for Manhattan on Friday morning while riders inside the train watched in shock, according to a video of the incident shared on social media. 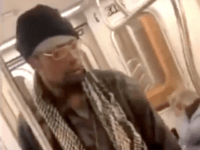 Police are searching for a man who allegedly punched a five-year-old in the face Saturday on a New York City subway. 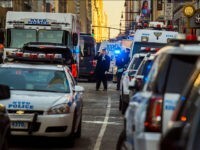 A New York City man is accused of slashing two women in the face on Manhattan’s Lower East Side Friday, authorities say. 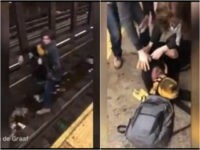 Passengers at a subway station in the Bronx pummeled a man who allegedly attacked a mother in front of her three children while he was drunk, according to video footage of the incident. 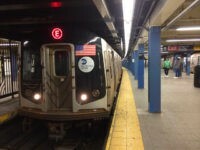 A man approached a woman standing on a New York City subway platform and pushed her onto the subway tracks Tuesday evening, police said. 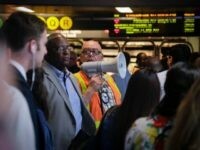 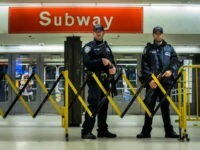 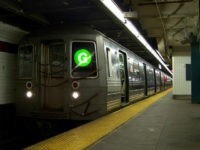 NEW YORK CITY — In an effort to restore service to the city’s ailing subway system, cops have allegedly resorted to storing “leaking” dead bodies in employee break areas inside subway stations. 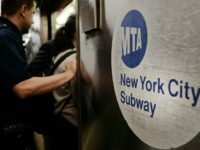 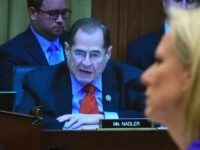 NEW YORK CITY — Commuters in the Big Apple are having another rotten week after a track fire shut down four subway lines, pictures of which were plastered all over the front pages of the city’s newspapers Tuesday — putting more pressure on Democratic politicians in charge of making the trains run. 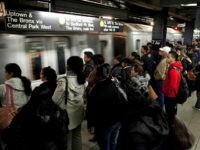 As left-wing Mayor Bill de Blasio designates millions of dollars of taxpayer money to pay the lawyer fees of illegal immigrants, New York’s failing subway system is falling into greater disrepair — with a state of emergency being declared by New York Gov. 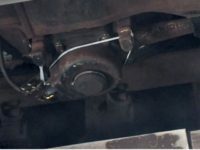 Andrew Cuomo, and one straphanger spotting that her subway train was being held together with a zip tie. 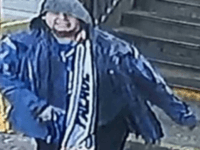 A homeless woman is accused of slashing a mother in the face after the mother tried to move away from her to another seat on a New York City subway Sunday morning. 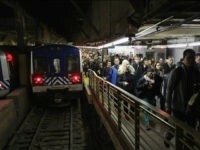 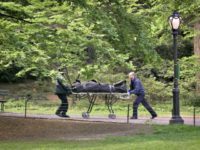 A fourth dead body appeared in public in New York City Friday morning as police found a corpse on the subway, they said. 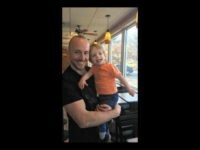 A woman has tracked down the man who saved her son from choking in a Chicago-area Subway restaurant, then took off before she could thank him. 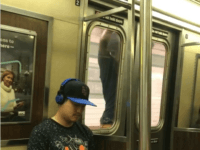 A disturbing online video shows a subway passenger with her head stuck between two subway doors while people walk past her on the station platform. 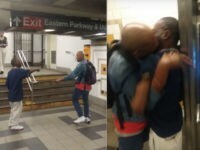 A quick-thinking Good Samaritan pulled a man from the subway tracks in New York City to save a man who had fallen. 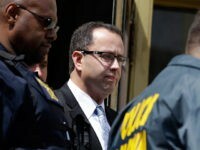 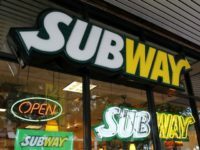 Subway’s “chicken” sandwich only contains 50 percent chicken, according to a new report. 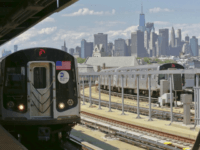 A 16-year-old girl was robbed and pushed onto the subway tracks in New York City after a group of teens confronted her, police said. 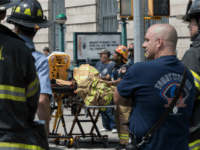 A teenager allegedly set a Brooklyn man’s arm on fire on a New York City subway in Queens and boasted about it to his friends not long after. 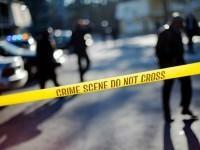 On December 23, a robbery suspect was shot in the neck, chest, and abdomen after allegedly pulling a gun and demanding money in a Subway sandwich shop.